These thick cork 3.5” coasters are an ideal year-round option for protecting table surfaces from both heat and moisture. 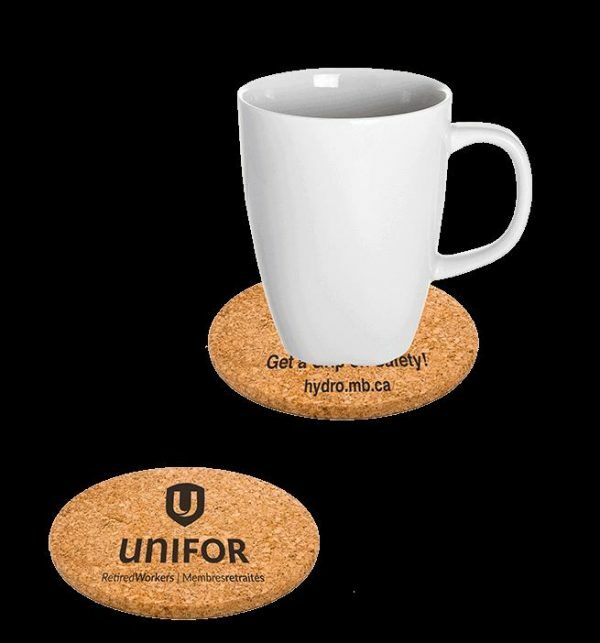 Your message or logo will be prominently displayed on non-slip, absorbent cork. Includes a beautiful 1 colour black or brown imprint on one side of the cork piece.One stock colour included, one location.